Widely acclaimed as the best study of Dietrich Bonhoeffer's early social theology, Clifford Green's work is here fully updated and expanded with important new material not available anywhere else. This revised edition includes newly discovered, previously unpublished letters between Bonhoeffer and Paul Lehmann and between Lehmann and members of Bonhoeffer's family as well as a substantial new chapter covering Bonhoeffer's Ethics. In addition, all citations of Bonhoeffer's writings have been updated to the new German and English editions of the Dietrich Bonhoeffer Works as will as to the revised, unabridged edition of Eberhard Bethge's biography. Clifford J. Green is professor of theology at Hartford Seminary, Conneticut. 363 pages, softcover from Eerdmans. The classic study of Dietrich Bonhoeffer's social thought, now expanded with never-before-published Bonhoeffer letters. Widely acclaimed as the best study of Dietrich Bonhoeffer's early social theology, Clifford Green's Bonhoeffer is here fully updated and expanded with new material not available anywhere else. Features of this new edition: A selection of important, newly discovered letters between Bonhoeffer and Paul Lehmann and between Lehmann and members of Bonhoeffer's family. 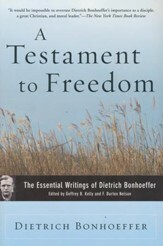 An extensive chapter covering Bonhoeffer's Ethics. All citations updated to the new German and English editions of the Dietrich Bonhoeffer Works. A revised edition of one of the most important works on Dietrich Bonhoeffer's early life and writings, with a suggestive effort to reconstruct from his unfinished Ethics his justification for joining the resistance effort to kill Hitler. A necessary book for students of one of the most compelling theological and moral figures of the twentieth century. 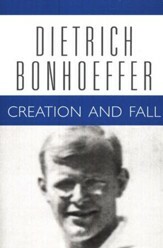 This is a thoroughly readable, balanced and learned study of the ways in which the earlier Bonhoeffer is a key to his later work. . . . Here is a careful, clearly developed exposition of a truly great mans thinking in the face of immense human problems. Bonhoeffer has much to say to a world which still has problems with power and with rampant individualism; Green will help any serious student come to grips with the basic thinking which is often overlooked by writers on this seminal theologian. A model of scholarly exposition.... Green has established himself as the foremost Bonhoeffer scholar writing in English.... Rarely has a single volume done so much to clear the air and to reorient scholarship along the right track. 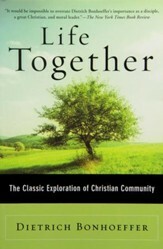 No future study of Bonhoeffer will be able to ignore Green's [book]. 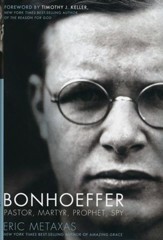 One of half a dozen truly important books on Bonhoeffer. Fresh discoveries in the 'Bonhoeffer corpus' which throw light on the whole.... Green's style makes his book a joy to read. Eerdmans offers some heavy-duty theology in the revised edition of Bonhoeffer: A Theology of Sociality by Hartford Seminary professor Clifford Green. Green's 1975 text, which focused on Bonhoeffer's early theology, has been updated with the inclusion of some of the theologian's letters, discovered in 1998 in the archives of Princeton Theological Seminary. Some of these letters, which are presented in a valuable appendix, address Bonhoeffer's work in the Resistance during World War II. The new edition also includes a chapter about the German theologian's foundational Ethics. Brilliant book... All serious researchers into Bonhoeffer's theology must now somehow come to grips with Green's interpretation. 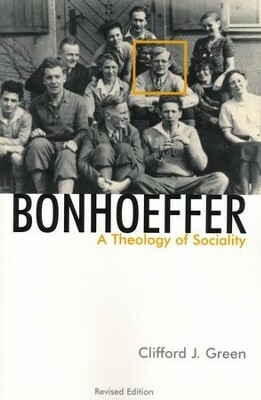 I'm the author/artist and I want to review Bonhoeffer: A Theology of Sociality, Revised Edition.